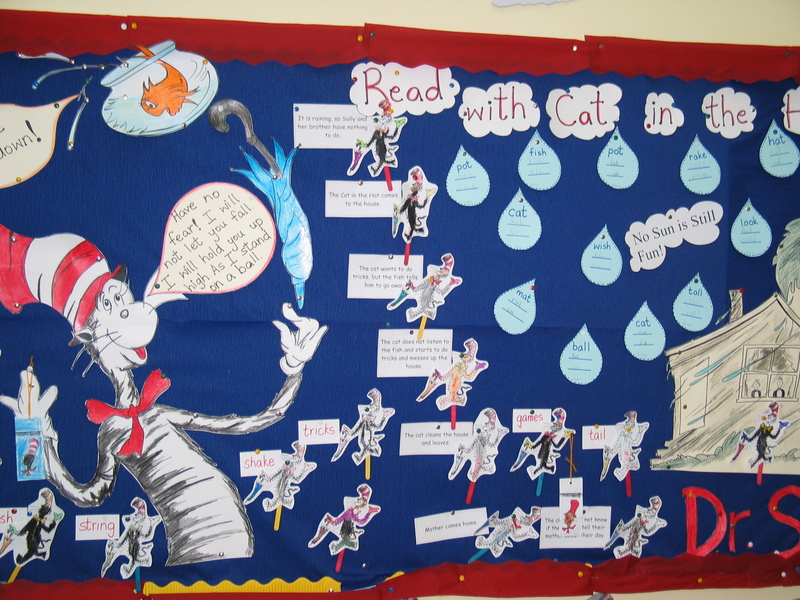 Check out our Cat in the Hat Bulletin Board. 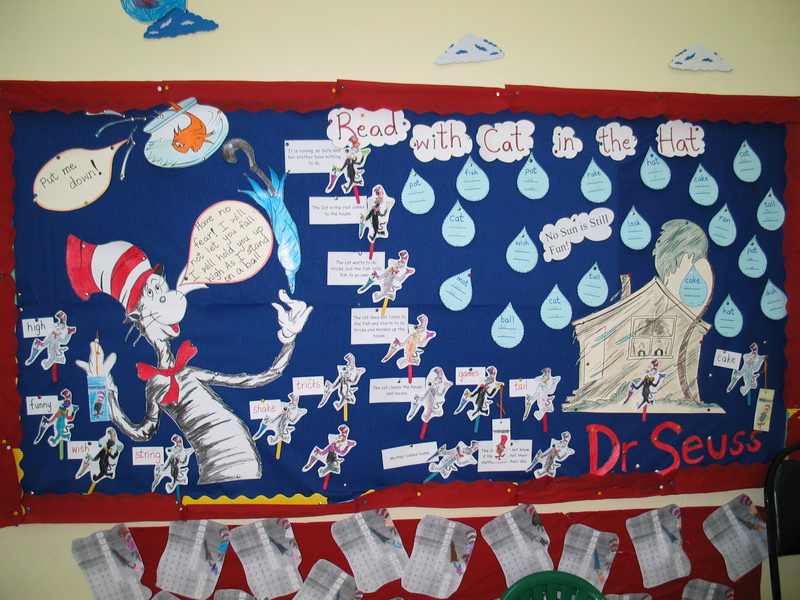 Children wrote rhyming words on the rain drops, made bookmarks and Cat in the Hat stick puppets. Posted on January 10, 2012 by Faryal	• This entry was posted in Bulletin Boards, Kindergarten and tagged bulletin boards, Dr. Seuss. Bookmark the permalink.